The story of Les Miserables is long and complicated. In short, Jean Valjean (Hugh Jackman) is a criminal who absconds during his parole, taking on a new name and starting a new life, running from Javert (Russell Crowe). Along the way, he adopts the daughter of Fantine(Anne Hathaway) one of his ex-factory workers whose firing leads to her descent into prostitution, illness and eventual death. Then, there is a revolution against the rich ruling classes. There’s death, betrayal, love and the whole lot. It was a very long stage play, and it is a very long film. The one problem I often have with musicals is the amount of singing. Really keep it to one or two verses and a chorus – get back to the story. That goes doubly for this film – everything is sung, like an opera, only it’s not an opera. It’s fine for the songs, but the dialogue and the single lines just seem odd. 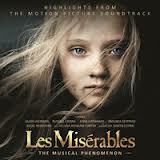 But, ignoring my impatience with songs in musicals, it’s a very good film. It is as grand and epic as it needed to be. The casting was fantastic, apart from Russell Crowe. Crowe was perfect for the acting of Javert, but his singing was noticeably weaker that all of the other leads, which made his seem like a weak performance.